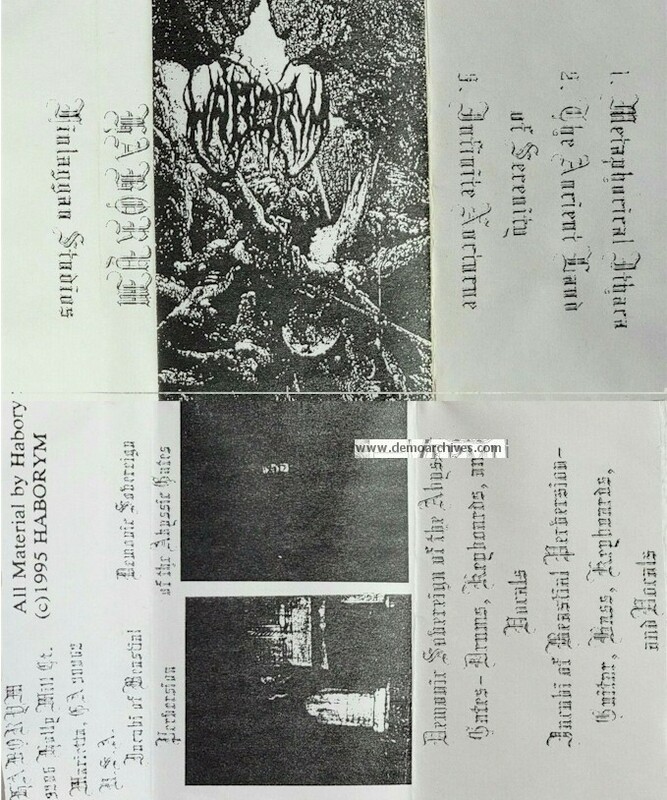 Blackened Death metal band from GA formed in 1991. Members were Demonic Sovereign of the Abyssic Gates (Blake Jones) - Drums, Keyboards, Vocals and Incubi of Beastial Perversion (Alex Cox). Released one demo. Xeroxed covers. No lyrics. Pictures and hand numbered on back. Ive seen regular tapes and tapes with stickers on the shell.